Few studies have investigated the effect of age on treatment effectiveness of evidence-based social skills training in autism spectrum disorder (ASD) adolescents. 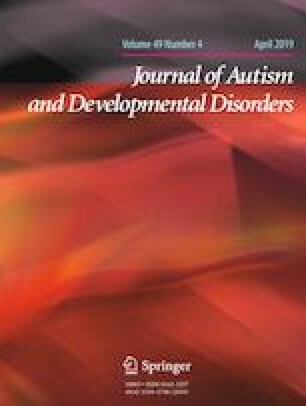 This study evaluated the effectiveness of Program for the Education and Enrichment of Relational Skills (PEERS®) in different ages of ASD adolescents. A total of 110 ASD adolescents aged 11–19 years were divided into early, middle, and late adolescence groups, and the changes in outcome measures following intervention were compared among the three groups. We found that the improvements in social competence after PEERS® were significant, but the treatment effects were not significantly different among the three age groups. The findings suggest that PEERS® is beneficial for ASD adolescents regardless of patient age and adolescence stage. This research was supported by a National Research Foundation of Korea (NRF) grant funded by the Korea government [NRF-2017M3c7a1027467] and by Disease-focused Healthcare Technology R&D project by Ministry of Health and Welfare (MOHW), Republic of Korea [HI14C2336]. We would like to thank the teens and the families who participated in this study. This paper has presented as a poster presentation at the Cognition, Sleep, Mood, and Stress (COSMOS) February 2018 under the title: Differences in the Treatment Effects of the PEERS® Social Skills Training Depending on Age in Adolescents with ASD. JKH participated in the conception and design of the study, conducted the statistical analyses and interpretation of the data, and drafted the manuscript; MO participated in the delivery of the intervention, and helped draft the manuscript; GB, JHK, GB, and IHC participated in the delivery of the intervention and data acquisition, and reviewed the manuscript; HJY conceived of the study, participated in its design and measurement, led the delivery of the intervention and data acquisition, reviewed the statistical analyses and interpretation of the data, and revised the manuscript. All authors read and approved the final manuscript.